This week we are chatting to Sarah Akwisombe…award wining blogger, interior stylist, founder of the No Bull Business School and mum to Marley (with another baby due later in 2019). 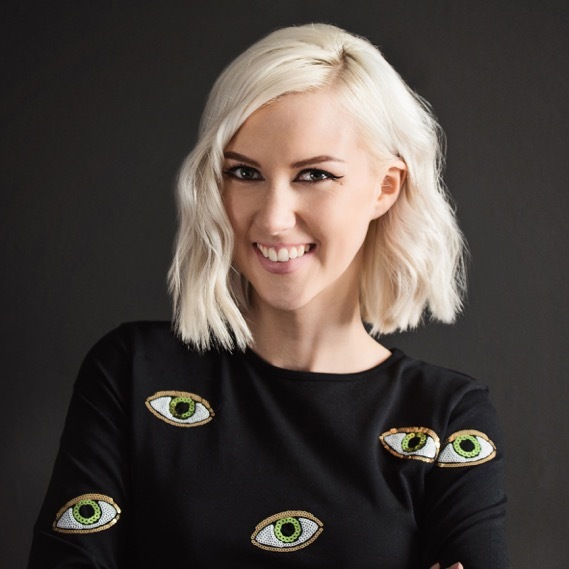 Sarah has amassed a CULT FOLLOWING through her blog and has been kicking creative entrepreneurs butts since 2015 via online courses, content, consultancy and events. We are so excited to be teaming up with Sarah for our Vision Board Party on 7th February in Tunbridge Wells, if you would like to join us there are just 5 tickets left and are available HERE. What are your 3 essentials for getting up, out and at 'em? Banging eyeliner, some motivational tunes and a severe aversion to living a mediocre life. Why did you decide to set up your business? I set up No Bull Business School as I didn't think there was anything out there that was straight talking for women. Men had their business gurus and yet women seemed to have all this fluffy soft stuff that didn't really help anyone get on with starting a killer business. I also just wanted to share everything I had learnt as in retrospect you look back and say 'wow I can't believe I used to make that mistake, now I see why that didn't work. And I just wanted to share that. I created what me 5-10 years ago would have wanted. #1 tip for juggling work and family life? The happiest moment in your day? When I've had a really productive day and I'm proud of the work I've completed. And when I'm eating lunch. The hardest moment in your day? When I have to make lunch! Or I have to go and get my daughter from school. Or I really need a wee. Anything that interrupts the flow basically. Usually carry on working if I have something meaty that I want to complete that I'm too obsessed to put down. If it's a quiet day I'll watch TV - I love a good series on Netflix or a documentary. Just started watching The Romanoffs which has some beautiful set styling.